We are proudly able to install and service all types of garage door openers. 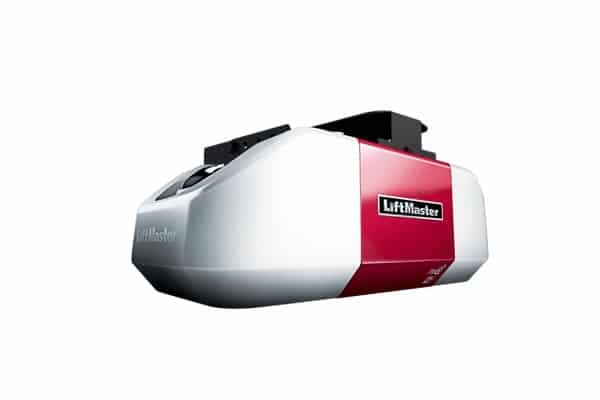 We recommend Chamberlain, Craftsman, Genie, and LiftMaster to be the brand of choice to any home or business owner to use for operating their garage door. We have years of experience in installing and maintaining all makes and models of the following types. If your looking to upgrade, read on to find out what might be the best choice for you. 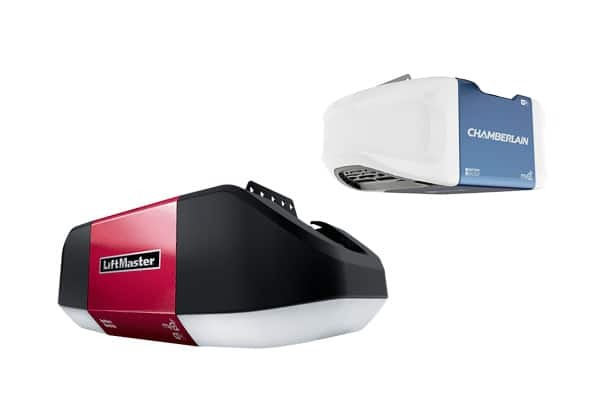 The wall-mount garage door openers are mounted on the wall next to the garage door, which means that it doesn’t clutter up your ceiling or overhead space, and comes fitted with an optional power standby mode, which means that the system will keep on running even when the main power to your home has been cut off. The belt drive garage door openers can be installed quickly and easily, operate smoothly, and are much more quiet than the other types of openers available. They are also almost 100% vibration free, which makes them ideal for your home or business, especially if you don’t want to disturb any of the occupants or have an alarm system that picks up on vibrations. 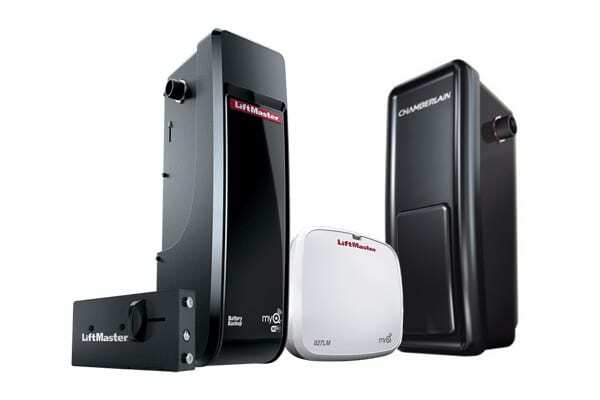 Nothing provides the reliability of a chain drive garage door opener when it comes to ensuring proper operation of your door. These type of openers are reliable and powerful for both residential and commercial applications. They offer the best engineering and the most reliable operation while still making it available at a reasonable and affordable price. 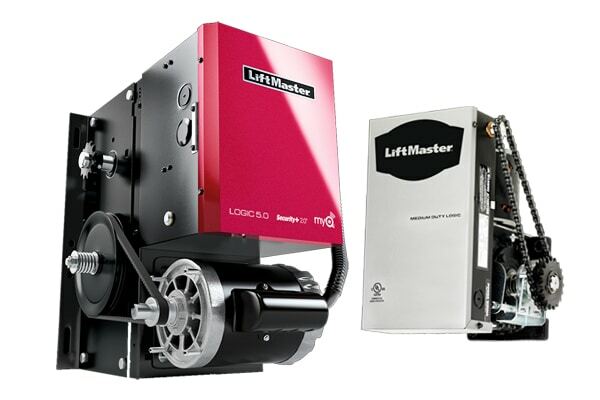 The commercial door operators have been specifically tailored to provide reliable service for both light and heavy duty applications. They have been engineered to withstand the most extreme working conditions while delivering superior performance. They are also very quiet and guaranteed to keep your business running smoothly 24/7.